IC-F4000 F4001 F4002 F4003 F4010 F4011. Compatible with :ICOM. 400-470 MHz (UHF ). IC-F4 F21 F24 F25 F26 F43 F44 F80. Compatible with :ICOM. UHF Antenna. 400-470 MHz (UHF ). IC-F4000 F4001 F4002 F4003 F4010 F4011. Compatible with :ICOM. 136-174 MHz (VHF ). IC-F3020 F3021 F3022 F3023 F3026. IC-F3000 F3001 F3002 F3003 F3010 F3011. New Billet Aluminum Low Profile Napa 4003 Wix 24003 Fuel Filter 1/2-28" 1/2" UE. 14mm 18mm Male Female Glass Adapter Joint Slide Bowl Extension various size UE. Connector: SMA Female. Antenna Length: 6cm. ▶▶▶ NMO Magnetic Mount With MINI Connector. ▶▶▶ 35CM VH F 155-174MHz Antenna. 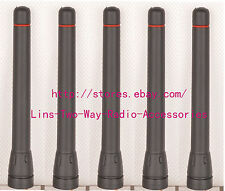 Good Quality Two Way Radio Accessories at here. 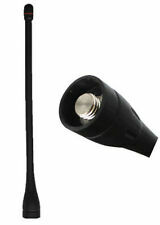 $Frequency: 136-174MHz Type: Helical Length: 6.5". IC-F4000 F4001 F4002 F4003 F4010 F4011. IC-F4020 F4021 F4022 F4023 F4026. Compatible with :ICOM. UHF Antenna. Frequency:400-700 MHz (UHF ). Compatible with :ICOM. 136-174 MHz (VHF ). Compatible with :ICOM. UHF Antenna. 400-470 MHz (UHF ). F4001, F4011, F4021,F4021S, F4021T, F4061, F4061S, F4061T, F4101, F4101D. F21,F21S,F21BR,F21GM,F24,F24S. Compatible with :ICOM. UHF Antenna. Frequency:400-700 MHz (UHF ). F4,F4GS,F4GT,F4TR,F40,F40GS,F40GT. V8 V8 V80 V80E V82 V85. 1x BNC Antenna. Antenna Connector. Antenna Type. Black Antenna. ▶▶▶ NMO Magnetic Mount With MINI Connector. ▶▶▶ 35CM VH F 155-174MHz Antenna. IC-F4020 F4021 F4022 F4023 F4026. Compatible with :ICOM. 400-470 MHz (UHF ). IC-F3 F11 F14 F15 F16 F33 F34 F70. Compatible with :ICOM. 136-174 MHz (VHF ). IC-F3000 F3001 F3002 F3003 F3010 F3011. V8 V8 V80 V80E V82 V85. Stubby Short Antenna. 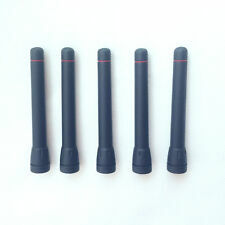 5x BNC Antenna. Antenna Connector. Antenna Type. Frequency Band(s). For BLACK & DECKER. For ICOM F21, F21S, F21BR, F21GM, F24, F24S, F4, F4GS, F4GT, F4TR, F40, F40GS, F40GT, F4001, F4011, F4021, F4021S, F4021T, F4061, F4061S, F4061T, F4101, F4101D, F43, F43GS, F43GT, F43TR, F80S, F80T, F80DS, F80DT. IC-F3101 F3018 F3161 F3162 F3029. Compatible with :ICOM. 136-174 MHz (VHF ). IC-F3020 F3021 F3022 F3023 F3026. IC-F3000 F3001 F3002 F3003 F3010 F3011. IC-F4000 F4001 F4002 F4003 F4010 F4011. Compatible with :ICOM. UHF Antenna. 400-470 MHz (UHF ). Trending at $9.43eBay determines this price through a machine learned model of the product's sale prices within the last 90 days. For BLACK & DECKER. 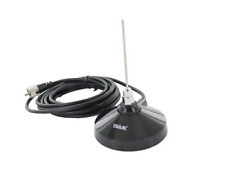 VHF 136-150MHz 6.5" Helical Whip Antenna. Feature: This Helical Whip antenna is with one-piece finish, steel core, and spiral wound conductor for optimal radiation characteristics. 1pcs NMO Magnetic Mount With MINI Connector( Cable Type:RG-58 / 5m about 16.4ft). 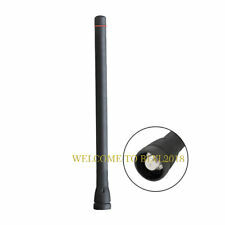 1pcs UHF380-430MHz Antenna(15CM). IC-F3000 F3001 F3002 F3003 F3010 F3011. Compatible with :ICOM. 136-174 MHz (VHF ). IC-F3101 F3018 F3161 F3162 F3029. Compatible with :ICOM. 136-174 MHz (VHF ). IC-F3000 F3001 F3002 F3003 F3010 F3011. V8 V80 V80E V82 V85. VHF antenna for ICOM. Compatible with :ICOM. Connecter: BNC. Frequency: 136-174 MHz (VHF ). 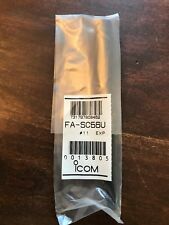 Icom 6" heliflex VHF Antenna for F50, F51, F50V, F51V, F51ATEX, M88. $Frequency: 150-174 MHz Type: Helical Whip (Rubber Ducky antenna) Length: 6.5". New Billet Aluminum Low Profile Napa 4003 Wix 24003 Fuel Filter 1/2-28" 1/2" UE. 14mm 18mm Male Female Glass Adapter Joint Slide Bowl Extension various size UE. Type: Antenna. Compatible With Radio Models. 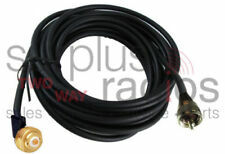 $Frequency: 430-470MHz Type: Flexible Whip Length: 6.5". IC-F3020 F3021 F3022 F3023 F3026. IC-F3000 F3001 F3002 F3003 F3010 F3011. FA-SC55V 6.5" VHF Antenna For ICOM Radio. 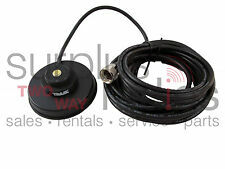 Compatible With ICOM Models Good Quality Two Way Radio Accessories at here. Buy more. IC-F4029 F4101 F4018 F4161 F4162. Compatible with :ICOM. 400-470 MHz (UHF ). IC-F4020 F4021 F4022 F4023 F4026. IC-F4000 F4001 F4002 F4003 F4010 F4011. IC-F4029 F4101 F4018 F4161 F4162. IC-F4020 F4021 F4022 F4023 F4026. Compatible with :ICOM. UHF Antenna. 400-470 MHz (UHF ). Our photos are my own hand to shoot, But different lighting and computer settings, The pictures will be a little little color difference. For ICOM Portable Radio. Antenna 6" VHF 136-174MHz. V8 V8 V80 V80E V82 V85. Stubby Short Antenna. 1x BNC Antenna. Antenna Connector. Antenna Type. Compatible With Radio Models: ICOM IC-F3 F11 F14 F15 F16 F33 F34 F70 ICOM IC-F3000 F3001 F3002 F3003 F3010 F3011 ICOM IC-F3020 F3021 F3022 F3023 F3026 ICOM IC-F3101 F3018 F3161 F3162 F3029. Frequency: 136-174 MHz (VHF ). V8 V8 V80 V80E V82 V85. Stubby Short Antenna. 1x BNC Antenna. Antenna Connector. Antenna Type. Frequency Band(s). ICOM UHF Transceiver Handheld Two-Way Radio. for ICOM FA-B70C IC-U82 Handheld Two-Way Radio. ICOM IC-U82. 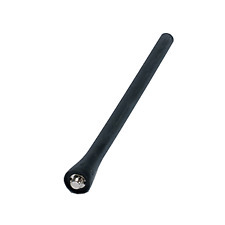 UHF 430-450 MHz 6.5" Whip Antenna. Feature: This whip antenna is flexible with one-piece finish, steel core, and spiral wound conductor for optimal radiation characteristics. 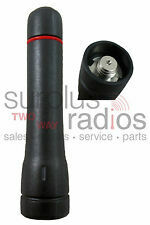 $Frequency: 136-150MHz Type: Helical Whip (Rubber Ducky antenna) Length: 6.5". IC-F3101 F3018 F3161 F3162 F3029. IC-F3020 F3021 F3022 F3023 F3026. IC-F3000 F3001 F3002 F3003 F3010 F3011. 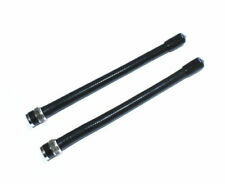 FA-SC55V 6.5" VHF Antenna For ICOM Radio. Compatible With ICOM Models. ☆ IC-F4 F21 F24 F25 F26 F43 F44 F80. Compatible with :ICOM. UHF Antenna. 400-470 MHz (UHF ). IC-F4029 F4101 F4018 F4161 F4162. 10X UHF Stubby Antenna FA-SC73US for ICOM IC-F4 F21 F24 F25 F26 F43 Radios 3.3"